Paired up with the Canon full-frame EOS-1D X DSLR, the new Canon EF 100-400mm f/4.5-5.6L IS II USM lens creates an ideal combination for most anything you will encounter in the field. Other new features include a reportedly easier-to-use rotation-type zoom ring, similar to what’s on the EF 70-300mm f/4-5.6L IS USM lens (the previous version had a push-pull zoom), and a revamped zoom torque adjustment that lets you set the zoom tension between several degrees of looseness and tightness, depending on your preference. 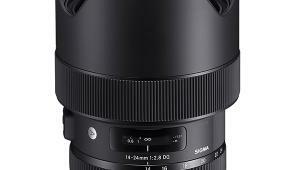 There are also new optics, including one fluorite and one super UD lens element, which are designed to reduce chromatic aberration through the entire zoom range while optimizing resolution and contrast. For photographers who like to get close to their subjects, the new Canon EF 100-400mm f/4.5-5.6L IS II USM’s minimum focusing distance dropped to 3.2 feet, from 6.2 feet on the old version, resulting in a maximum magnification of 0.31x. 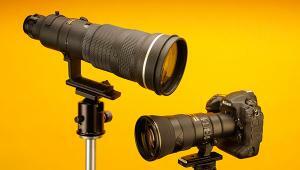 That’s one-third life-size magnification, which is close to a true macro, making this long zoom rather versatile. When I heard about Canon’s new and improved 100-400mm lens, I could not wait to get one. For full framers, it is a great all-around lens; for Canon APS-C users, it is now a 160-640mm lens using their 1.6x crop factor. Will wonders ever cease? Out in the snow, both the camera and lens performed without a hitch. Here, walking along the road, I spied a bit of red among all the white snow and branches. This photo was shot at 1/640 second at f/11 with the lens at 350mm. Naturally, it’s hard not to take a photo of one of our cats to show how sharp a lens is. You can’t beat all the detail in a feline to show the good and bad in any lens. Something has the attention of Aimee, who is sitting on the edge of our deck. Again, the lens performed without fail. At f/8 to f/11, the lens seems to be at its best. 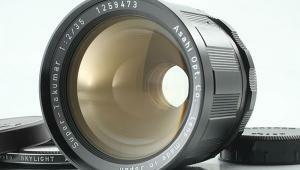 The original version of this lens had a trombone-style method of changing the focal length. While everyone marveled at the optical performance, it was the type of configuration that seemed to torment the masses. Instead of rotating the lens barrel to change zoom settings, you had a push-pull action that threw your center of balance off when hand-holding the lens. This new lens has the more traditional method of changing focal lengths—that of simply turning the zoom ring to the desired focal length—which should also alleviate most of the dust or moisture problems as this new Canon lens has improved weatherproofing within the package. Furthermore, you have a friction ring that allows you to tailor the drag of the rotation to your style of shooting (action, stills, and macro) for sharper photos on or off a tripod. Before we get into more specifics of the EF 100-400mm f/4.5-5.6L IS II USM, let’s take a trip around the lens and look at the features. First, right out the box, you notice the lens is very compact. 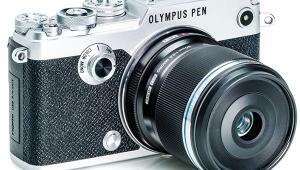 From the front element to the rear camera mount, the lens—sans lens hood—is only 7.5 inches long. The average diameter is around 3.5 inches, with a total weight of 3.5 pounds. While it may be a bit heavy for some, considering the lens is all-metal, it’s fine for roaming around and shooting. In short, this new lens is a bit heavier (by five ounces), wider, and taller than the original, but considering all the improvements, the upgrade in pricing is warranted. Moving from the lens mount forward, you’ll find the slide switches to control the various features of the EF 100-400mm f/4.5-5.6L IS II USM. From the top, the focus lock can be set to “full” as to allow the lens to focus from its closest point (just over three feet) to infinity. If you want to keep the lens from hunting, the limit can be set from three meters (around nine feet) to infinity. Next is the switch to set the focus from AF (autofocus) to M (manual) with touching up the focus a neat option anytime with the AF in use. Stabilizer on and off is next followed by the stabilizer mode that is good for four stops of stabilization as compared to about 1.5 stops on the previous model. This “mode” switch seems to cover all the bases and since Canon was a pioneer with image stabilization, Mode 1 corrects vibrations in all directions. 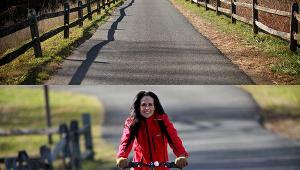 Mode 2 corrects horizontal shake when taking vertical shots, and vertically when holding the camera horizontal; in short, for panning. Mode 3 corrects only during exposure, which means it does not employ until the shutter is pressed for the exposure, thus allowing for a more convenient method of following a moving subject with an irregular pattern. Naturally, it goes without saying that if you employ the features of the image stabilization when shooting offhand, turn it off when mounted on a tripod. In front of the slide switches is the rotating tripod collar, which has been the bane of many a photographer depending upon the lens and/or manufacturer. Canon has it down pat when it comes to the tripod collar; it is smooth as silk regardless of the tension placed on the locking knob. Furthermore, the newly designed tripod mount (shoe) is fully removable in the event it gets in your way when the action gets hot during sports or wildlife photography. 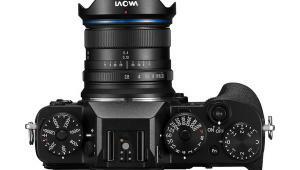 The rubberized focusing ring has just enough drag for a confident feeling in Manual mode, while moving forward shows Canon again has listened and installed a “zoom touch adjustment ring,” allowing the photographer to adjust its movement to either smooth or tight depending on the shooting situation. When I used it, just about halfway was good for me, shooting down and placing it on tight kept the lens from moving, which is commonly known as zoom creep. In operation, a quick quarter turn takes the lens from 100mm to 400mm in a snap. Walking around Concord, Massachusetts, this boat seemed to be looking for a friend to get it out of the water and running again. Off the bridge at 100mm seemed to capture all the details of this scene just waiting for spring. If you are looking for the finer details to test a lens, a scene like this makes a good example. At 150mm, you can read the clock, see the details in the brickwork, and the sharpness in the trees behind. Before I talk about performance, let’s take a look at the optics in the EF 100-400mm f/4.5-5.6L IS II USM. 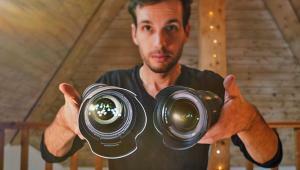 If you’re looking for an all-around lens, this might be your ticket. For example, in my office at the closest distance marked on the scale (3.2 feet), at 100mm I can fill the frame with an 8x10-inch print I have on the wall. Zooming out to 400mm at the same close setting, a business card almost fills the frame. With all the improvements, Canon added another blade to the diaphragm, making it nine blades total, which helps produce butter-smooth bokeh (aka background blur). 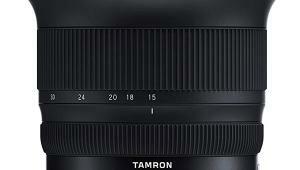 Canon also upped the ante from 17 glass elements in 14 groups to 21 in 16 groups. Nice! In addition, you have one fluorite and one super UD lens element to help correct chromatic aberration while delivering great images with high contrast and resolution throughout the entire zoom range. 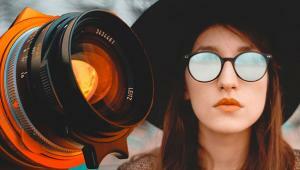 What now seems to be in vogue with high-quality lenses is both the front and rear element surfaces have a fluorine coating, making cleaning easier when attacking fingerprints, smears, or air-bound dust on the surface. Internal software has been upgraded to increase the speed within the CPU and the lens-based USM (Ultrasonic Motor) for a fast uptake and follow-through with rapidly moving subjects. 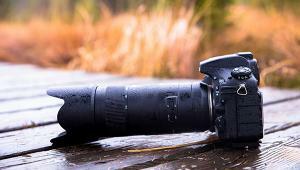 Using the EF 100-400mm f/4.5-5.6L IS II USM with the Canon EOS-1D X was a pleasure on all of my shooting excursions. I received the lens during the winter and between nice days and snowstorms here in New England, it along with the camera performed without a hitch. All of my images were crisp, and with the aid of a little sharpening on the computer, they were brought right up to snuff. On some images, I did use a polarizer via the convenient sliding door on the hood, and it is something I wish other manufacturers would consider. One enterprising photographer I met in Vermont actually cut a hole in his Nikon shade, covering it and uncovering it with a piece of friction tape upon every use. Obviously, this is the better way. 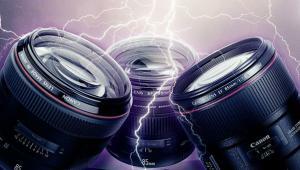 Thanks, Canon! For landscapes, even in the middle of winter, this scene at the Great Meadows wildlife area is perfect. The small inlet below leads into the larger body of water. If you look closely, you can see people walking along the causeway in the top left of the picture. Taken at 1/1000 second at f/8 with the lens at 100mm. In my test results, there was some chromatic aberration present in the images but only when shooting high, bare limbs of a tree against a plain sky. This was very minor, however, and only visible when the images were enlarged to what I would call almost unacceptable limits on the screen back home and for 99 percent of my work. When it came to corner falloff at all zoom settings, a camera like the Canon 1D X will correct this within the software automatically so this was never an issue. Autofocus was silent, instant, dead on, and very fast no matter the subject; I only wish I’d had some fast-moving wildlife to test it on, as well as a 1.4x extender, but it was not to be. Bokeh was superb, even more so on a longer lens like this, and using it around 105mm would make for an awesome portrait lens, especially wide open. In using the lens, my subjects varied in content. We had a whopper of a snowstorm here, so out I went down the road to photograph a few red barns with all the snow blowing around. The wet snow hung on everything, creating almost too many subjects to shoot. When things calmed down, I took a day and drove to Concord, Massachusetts, to see what I could collect in images as to show the lens in good or even bad light. Amazingly, the lens never was at fault and continued to show me great images if I did my part. In testing, I tried to use as many focal lengths, f/stops, ISO settings, and shutter speeds as I could to get a good picture of the quality Canon places on its products. The sample images should give you an idea of what I tried to show in this test report. In short, this is one sharp lens. 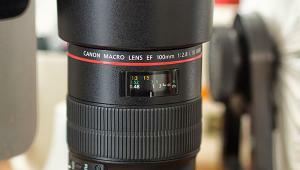 While I really enjoyed my time testing the Canon EF 100-400mm f/4.5-5.6L IS II USM, it has created a dilemma for me. Should I trade in my 70-200mm f/2.8 lens for this highly versatile tool that seems to outshine the 70-200mm in many respects, including close focusing? To many, losing a bit on the short end while gaining more on the long end makes more sense for their needs, especially for an African safari. But then again, the 70-200mm has a fast f/2.8 aperture, so there’s a trade-off there as well. 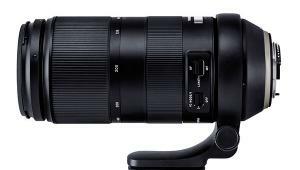 It will be a tough call for sure, as the EF 100-400mm f/4.5-5.6L IS II USM is one impressive lens. But don’t think too long as I know you will be very happy with this new Canon super-telephoto zoom in your pack. Pricing: Current retail pricing on the Canon EF 100-400mm f/4.5-5.6L IS II USM is $2,199, including the E-77 II 77mm Lens Cap, Lens Dust Cap E Rear, ET-83D Lens Hood, LZ1326 Lens Case, Tripod Collar, and limited one-year warranty.